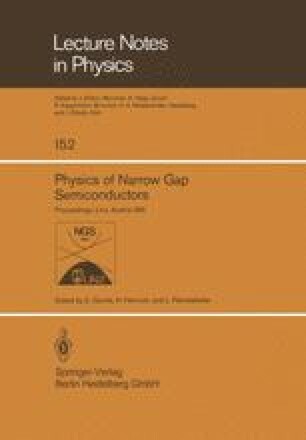 A theory of magnetic susceptibility of narrow gap semiconductors of the Pb1−xSnxTe and Hg1−xCdxTe type is developped. A singular contribution of states in the vicinity of the extreme points of the bands separated by a narrow forbidden gap is singled out. It depends on the magnitude of the gap, i.e. on the composition of the alloy and also on the temperature and magnetic field.